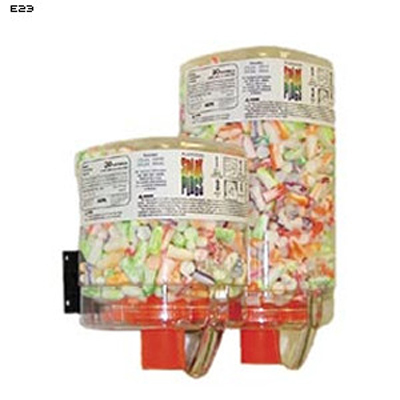 Easy to attach wall mount dispenser can be conveniently mounted anywhere. Users just turn red dial at bottom and earplugs drop into their hand. Extra soft SparkPlug earplugs offer noise reduction rating of NRR 30dB.